Reports from the Marin County Sheriff in California confirm, beloved Actor/Comedian Robin Williams was found dead in his Tiburon, CA home. He was found this morning alone in his home shared with his wife, Susan Schneider. Williams was last seen alive last night around 10:00 pm. At this point the he coroner's office believes his death to be a suicide due to asphyxia. An autopsy is scheduled for tomorrow. He was 63. Statement from Mara Buxbaum, press representative for Robin Williams: "Robin Williams passed away this morning. He has been battling severe depression of late. This is a tragic and sudden loss. The family respectfully asks for their privacy as they grieve during this very difficult time." Williams' wife, Susan Schneider, issued the following statement: "This morning, I lost my husband and my best friend, while the world lost one of its most beloved artists and beautiful human beings. I am utterly heartbroken. On behalf of Robin's family, we are asking for privacy during our time of profound grief. 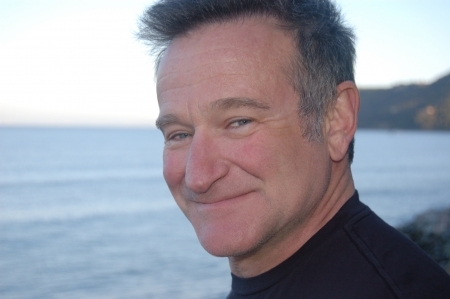 As he is remembered, it is our hope the focus will not be on Robin's death, but on the countless moments of joy and laughter he gave to millions."